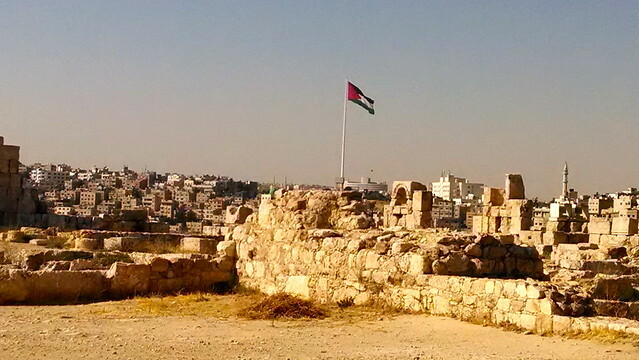 Amman is not a city with lots of things to do. 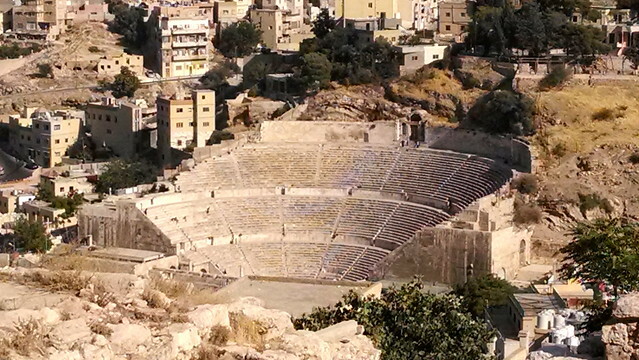 That said, there are some cool ruins and archaeological sites located directly in the downtown area, namely the Roman Theatre and the Citadel. 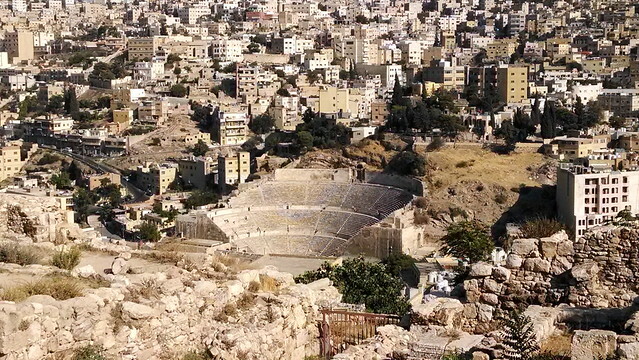 The Roman Theatre was just a short walk from the hostel I was staying at in Amman, so I started off there. It’s much higher and steeper than the one in Petra, and seemed better preserved, though of course it lacked that gorgeous pink color. My knees still hadn’t recovered from my week of ruin-exploring, so I decided not to climb to the top of this one. 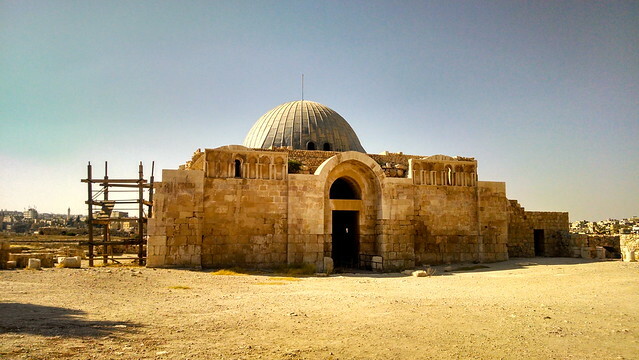 Instead, I checked out the “Jordan Museum of Popular Traditions”, located just to the side of the theatre in the same complex. I had no expectations going in (I didn’t even know there was a museum there!) but it was actually pretty cool. 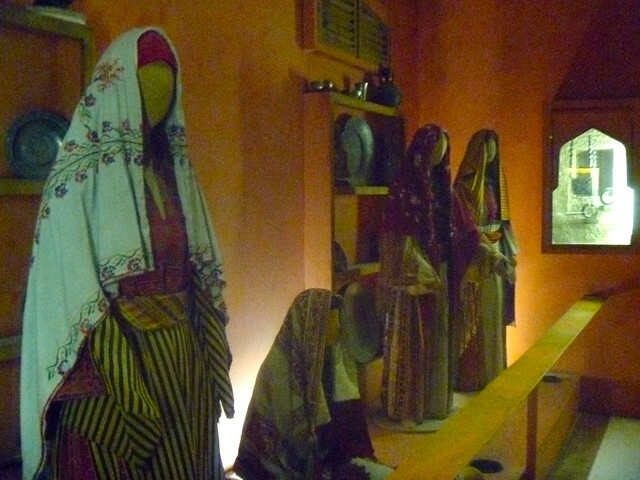 The placards weren’t very informative (and in some cases weren’t in English), but the museum displayed some really cool examples of traditional costume from the region, as well as jewelry and accessories. There was also a gallery displaying some mosaics that had been unearthed in the surrounding area. I ended up meeting two Dutch guys and another American there, and they were headed off to the Citadel themselves. So we all shared a cab up to the top of the mountain. I walked from my place to midtown today because that is how nice it is out. Helping to clean out my Grandma’s apt and we uncovered this gargoyle “side table”, which is actually apparently a set piece that my dad made during summerstock for a production of Don Juan in Hell? I can’t bear to let him throw it out, so looks like I have to find space for another piece of furniture in my place.